The exterior of the GT Line evolves the design language of the cee’d GT, with ice-cube LED daytime running lights and deeper bumpers surrounding Kia’s hallmark ‘tiger-nose’ grille. At the rear of the car, both the cee’d hatchback and pro_cee’d include the wider GT bumper and twin exhausts, while the Sportswagon is fitted with dual exhausts and a subtle rear diffuser. All GT Line models are fitted as standard with the GT model’s eye-catching side sill mouldings and rear LED light units, and a stylish new 17-inch alloy wheel design. The interior of the cee’d GT Line has been uprated with a higher quality, sportier ambience, inspired by the cabin of the current turbo-powered GT models. The GT Line boasts a classy, new grey, white and black upholstery with grey stitching; a series of GT Line logos throughout the cabin; and the same piano black and leather steering wheel and aluminium alloy pedals fitted to Kia’s high-performance GT models. The dashboard is also equipped with a new aluminium start-stop button, GT-inspired centre fascia design, illumination for the USB and aux-in ports and new chrome trim around the air vents and power window switches. For the launch of the cee’d GT Line, Kia is introducing its all-new 1.0-litre ‘T-GDi’ engine, a downsized, three-cylinder power unit engineered to improve fuel consumption and emissions while offering strong, willing performance and immediate responses to driver input. This is the first of Kia’s upcoming range of downsized engines to make its debut in Europe. The 1.0-litre T-GDi engine produces 120 ps and 172 Nm torque, and has been engineered to deliver lower CO2 emissions than the 1.6-litre GDI engine found in other cee’d models, pending final homologation closer to the GT Line’s launch. The 1.0-litre cee’d GT Line is also equipped with Kia’s fuel-saving ISG system as standard which improves emissions and fuel economy, and is available with a six-speed manual transmission. Kia’s new turbocharged engine, developed in-house at the company’s Namyang R&D centre in Korea, features a high-pressure direct injection system, advanced engine cooling and an integrated exhaust manifold for cleaner emissions and efficient packaging. Immediate engine response and highly-efficient combustion were cornerstones of the engine’s development, fulfilling Kia’s sustainable engine downsizing strategy. The all-new 1.0-litre T-GDi engine will be fitted to other vehicles in Kia’s European model line-up in future. The cee’d’s 1.6-litre CRDi diesel engine has also been upgraded for its application in the new GT Line variant, with power increased from 128 to 133 ps and torque from 265 to 285 Nm. With the small increase in performance, the engine’s full torque is now available from lower engine speeds for more effortless acceleration under all road conditions. 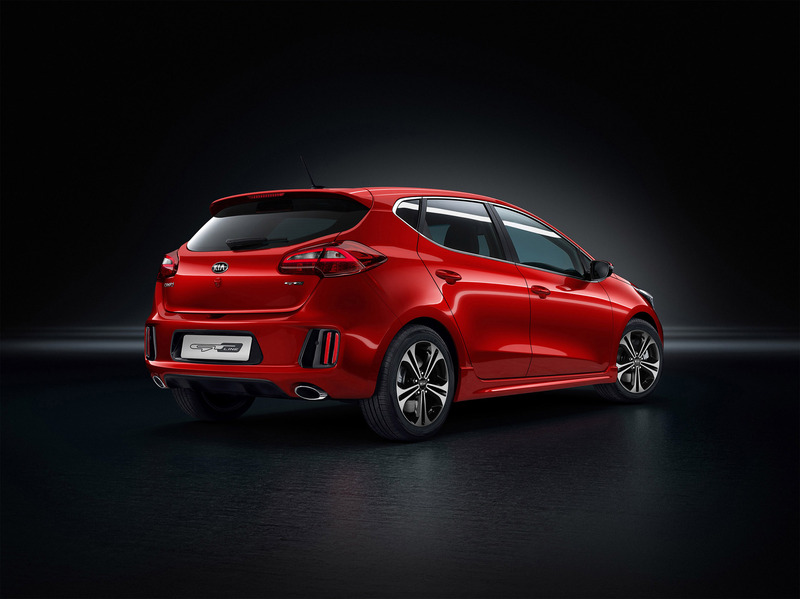 The new cee’d GT Line features a second new technology debut for Kia, with the arrival of the brand’s all-new seven-speed dual-clutch transmission (DCT). 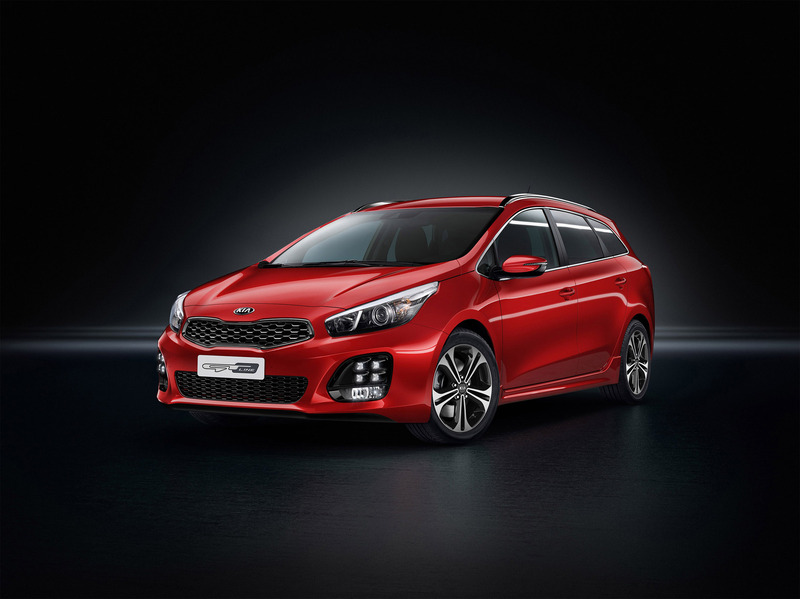 Available on GT Line models equipped with the 133 ps 1.6-litre CRDi diesel engine, Kia’s new DCT is capable of handling torque outputs up to 300 Nm – higher than the six-speed torque-converter automatic transmission it replaces. Like the new 1.0-litre T-GDi power unit, Kia’s new DCT has also been developed in-house and has been engineered with low fuel consumption and a sporty driving feel when in manual mode, and with comfort and smoothness when left in automatic mode. Drivers specifying the new DCT for their cee’d GT Line will benefit from faster gear changes than a traditional automatic transmission, as well as lower running costs. It is anticipated that the new DCT will offer lower emissions and higher fuel economy compared to the outgoing six-speed automatic gearbox. Kia’s R&D teams have targeted a three to five per cent improvement in acceleration (0 to 100 kph) and five to seven per cent improvement to fuel efficiency. After the cee’d GT Line, the new seven-speed DCT will be available on a number of Kia models in future, with similar gains expected in fuel efficiency and performance depending on its application in different models. The Kia cee’d GT Line will be available from Kia dealers across Europe in Q4 2015, offering the company’s unique 7-Year, 100,000 mile warranty as standard. Designed and engineered in Europe, the Kia cee’d family – incorporating the hatchback, wagon and pro_cee’d – continue to be manufactured at Kia’s production facility in Žilina, Slovakia. With 75,960 units sold across Europe in 2014, the cee’d remains one of the brand’s bestselling models across the region.